How Far is Gothic Pura Vida? 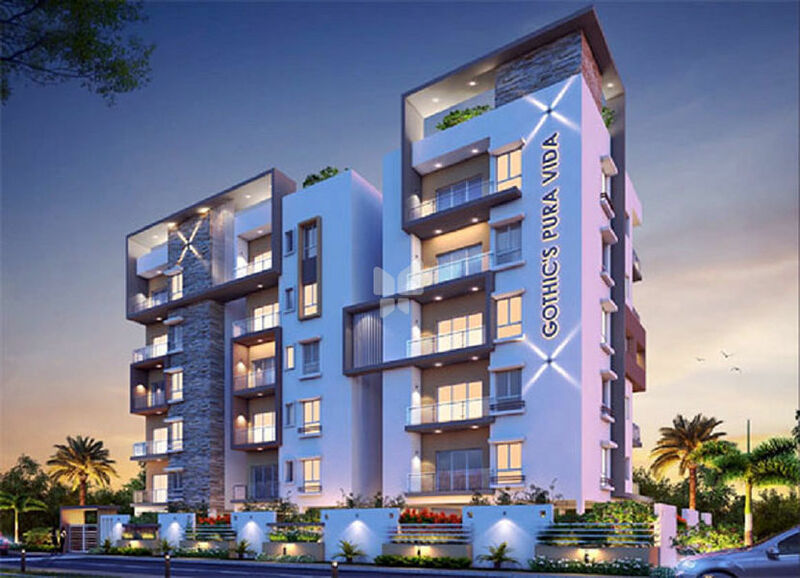 Gothics Pura Vida is a residential development in Bowrampet, Hyderabad. The project is built by Gothic Homes. They provide 2BHK, 3BHK apartment and apartments with all necessities. It is approved by Telangana RERA. Plastering: Internal & External: Double coat cement plastering with smooth finish. Main Door: Best Teak Wood frame with designer veneered flush door and Melamine finish with hardware of reputed make. Internal: M. Teak wood frame with flush doors and hardware of reputed make. UPVC Windows with safety M.S grill. External: Putty / Texture on the elevation side and Exterior Emulsion paints of Asian make on all sides. Internal: Luppam finish, two coats of Acrylic Emulsion over a coat of primer of Asian make. Glazed Ceramic tile dado up to 3 feet height above Kitchen platform. Granite platform with stainless steel sink & provisions for water purifier, Chimney and Microwave. Utility / Wash – Glazed Ceramic Tiles dado up to 3ft height, Provision for Washing machine. Tile dado up to door height. Wash basins of Cera or equivalent make in Toilets. Pedestal wash basin in dining area. W.C of Cera or equivalent make. Hot and cold wall-mixer with shower. All C.P. Fittings are of Chrome plated of Cera or equivalent make. Provision for Geysers. For all toilets and wash areas. 3-Phase supply for each unit with individual Meter of 5KVA in panel room. Concealed ISI standard copper wiring in conduits for all electrical points wherever necessary. Power outlets for air-conditioners in all bedrooms. Miniature Circuit Breakers (MCB) of ISI Mark. Switches are LeGrand or equivalent make. Provision for T.V points in master Bedroom and Living. Telephone / Internet provision in Living. Provision for cable connection in Master Bedroom & Living. Intercom facility in all units connecting to security. 6 Passengers lift of reputed make with front tile cladding. Adequate power back up for Lift and Common Lighting. Muncipal water for Drinking. Bore Water for Regular usage. Rain water Harvesting System.